Chain Conveyors are used to convey various types of objects like Sheet Metal Panels, Bags, In-Process Inventories over considerable distances, in manufacturing, assembly, painting, packaging lines etc. One pair of Bushed Roller Conveyor Chains fitted with Cross Tubes over stub spindles in self aligning tracks driven by a geared motor drive having fixed or variable speed are provided. Chain conveyors are used to carry light materials and heavy materials as per customer application.This will be designed as per customer requirement. With the years of experience and vast knowledge, we are engaged in offering an extensive range of Chain Conveyor to meet the needs of our customers. This conveyor is noiseless and offers speedy performance as compared to others. 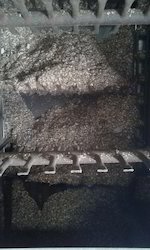 In addition to this, Chain Conveyor is conveniently operated with least maintenance required. 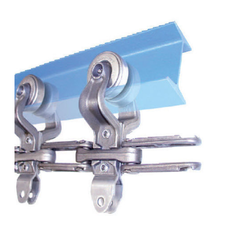 To meet the various requirements of the customers, we are involved in offering a wide assortment of Roller Chain Conveyor.